Recognize this house? You see it every time you spend a nickel. Thomas Jefferson knew from the time he was a little boy that he wanted to live on the top of this particular little mountain near Charlottesville, Virginia. He was still a youngster in his twenties when he got started on his goal. Using slave labor, he had the top of the mountain cleared, flattened to create a building space, and started building his dream house. And then he had to leave it. He had to go and do stuff like write the Declaration of Independence, and be President, and so forth, and leave the peace and quiet of Monticello behind. But all through his presidency, he dreamed of his mountaintop garden. He spent hours drawing plans and maps of flowerbeds, vegetable plots and tree plantations. And the moment his second term in the White House was up, what did he do? Did he arrange for a book deal, go on a speaking tour, hit the golf course? No, he headed home from Washington with wagonloads of plants. 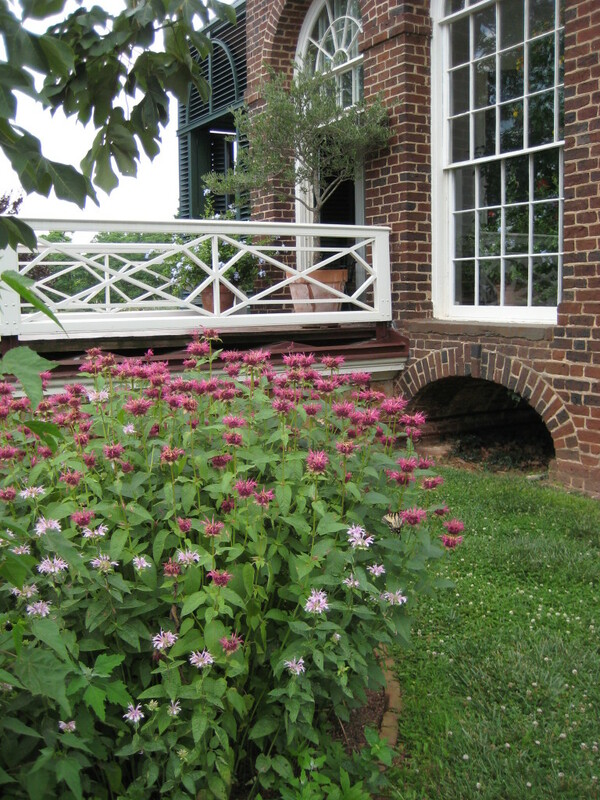 Jefferson planted thousands of trees, flowers, and vegetables at Monticello, turning it into a Garden of Eden. But like all Edens, there was evil lurking in the greenery. The history books say “Jefferson planted” this tree or that flower. But it’s important to remember that Tom didn’t get any dirt under his fingernails. In the words of one historian, “Jefferson himself wielded no shovel.” He was out there in the hot sun directing the slaves where to plant things. 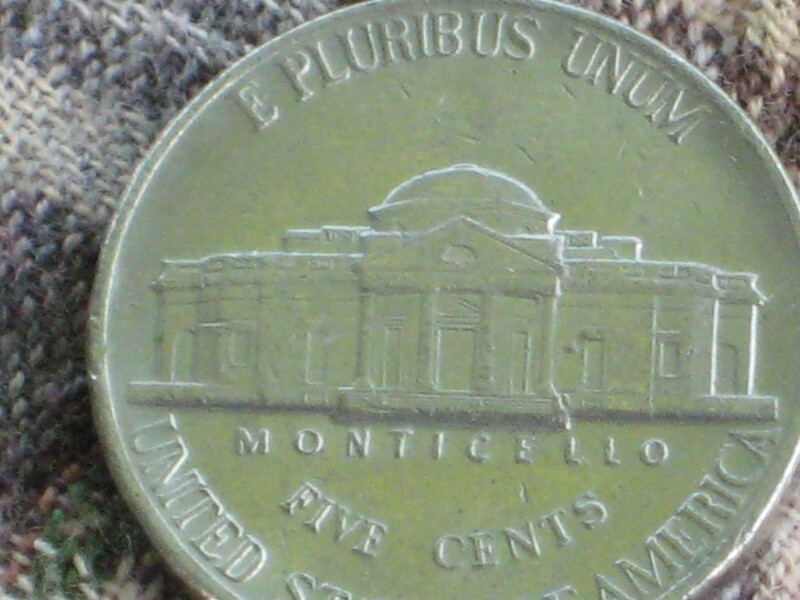 I had a lot of mixed feelings while exploring Monticello. The eternal contradiction of this beautiful garden is that enslaved hands planted it. (Well, they planted the original plants—the gardens were restored in the twentieth century by a local garden club and is maintained by staff and volunteers, but you get my point.) This amazing liberal thinker who authored the Declaration of Independence never freed his own slaves. Faced with a choice between emancipation and financial ruin for his family (he was always deeply in the red and died tens of thousands of dollars in debt) he made a dreadful choice he knew history would judge harshly. But the plants remain. Jefferson was continually experimenting with new types of vegetables and fruits and flowers. And unlike most gardeners, almost half of the species he had planted were native North American ones. In Jefferson’s day, and indeed today, virtually all the plants in most flowerbeds come from distant lands: peonies from China, tulips from Holland by way of Turkey, zinnias from Peru. 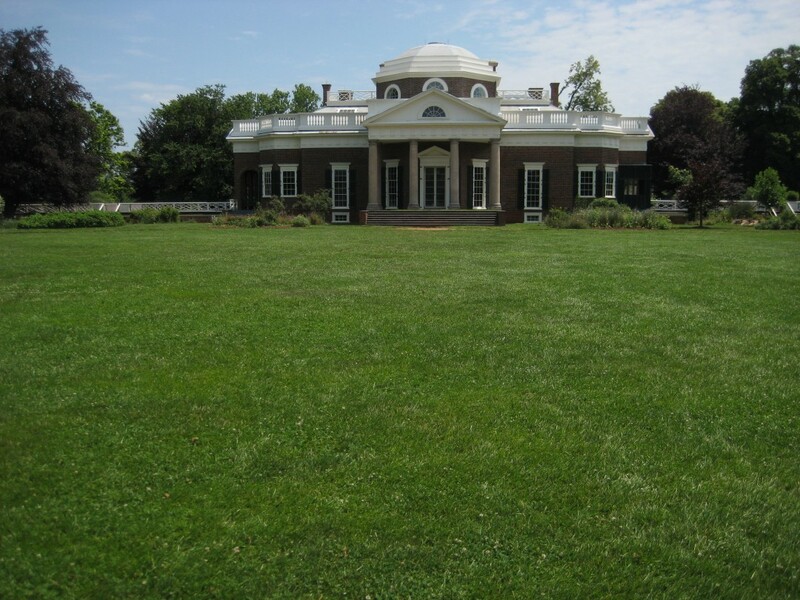 Jefferson was a patriotic gardener—his goal was to demonstrate that New World plants are just as good and even better than the tried and true Old World ones. 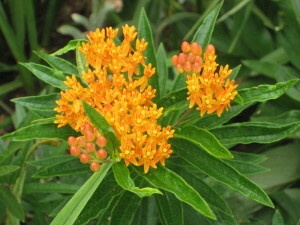 Butterflyweed, a type of milkweed, a crucial host and nectar plant for butterflies. And bee balm, a fantastic nectar-rich food source, just the right color and shape to lure hummingbirds. Jefferson welcomed native American plants that others called weeds into his flowerbeds. That was one good choice he made.